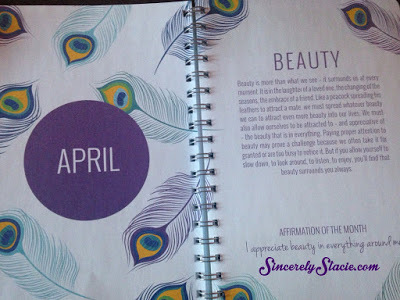 Last year I started following Dani DiPiro’s blog POSITIVELY PRESENT. I loved her happy attitude and fun spirit that she shared with others. 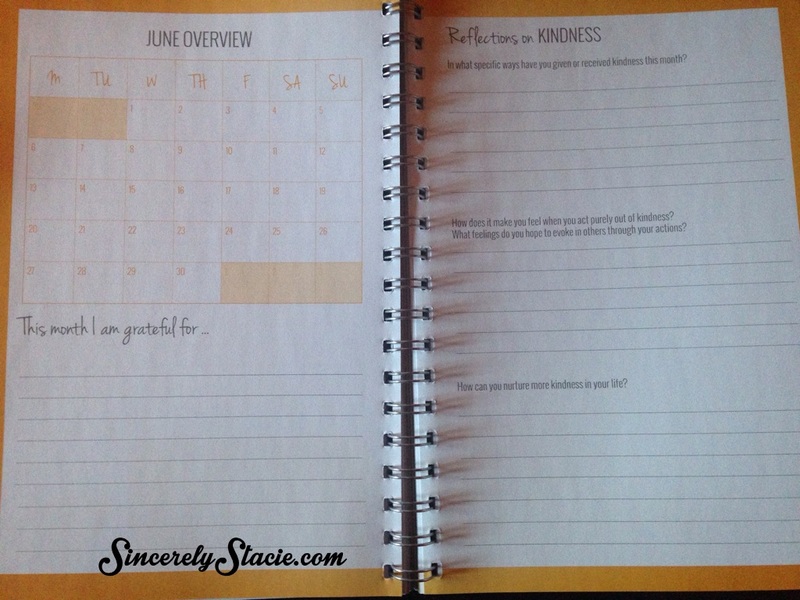 When I realized she had published a planner/diary, I knew I wanted to check it out and I am so glad I did. You can see my review from last year, HERE. I am a fan of DiPiro all on my own. I’m am telling you about this planner because I like it and thought some of you might enjoy it too. 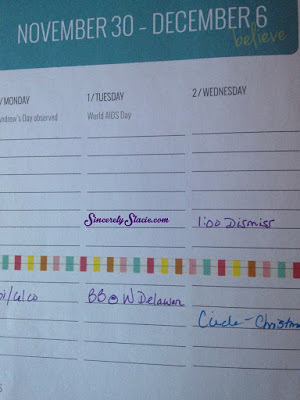 Today, I’m featuring her Desk Diary, but she also offers the same in a pocket diary size. 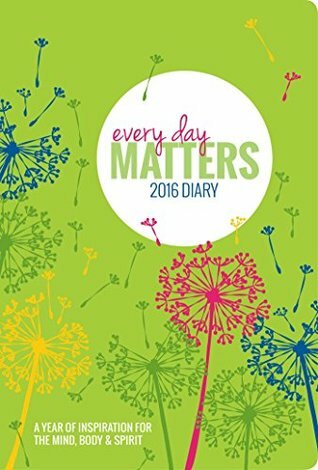 DiPiro’s EVERY DAY MATTERS DIARY was so successful last year, she has printed an updated version for 2016 and I have already purchased mine! First of all, I love that it is spiral-bound! That is a must for me when using a planner. It lays flat if I need it to, or I can open and fold it over and focus on just one page. 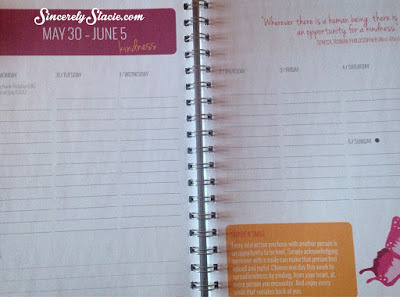 The week is spread out over two pages with plenty of space to list each day’s appointments or to-do items. You could really set up each day which ever way best works for you. You can list times, or make it more of a list feature. The main part that was hard for me to get used to is the week in these calendars starts on Monday rather than Sunday. 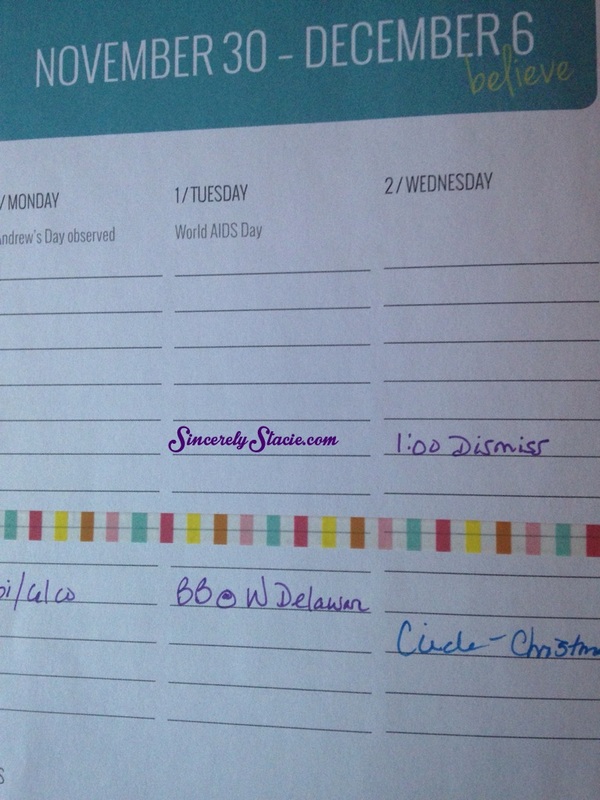 But there is ample space for each day as well as room in the lower left corner of each week for special notes. Each week also has a quote that corresponds to the monthly theme. Each month has a theme that will help you focus on being positive and reflect on your goals. Then throughout the month, there are quotes and tidbits to help you focus on that theme. At the end of each month, there is a monthly view to plan out your whole month as well as space for reflecting on the specific theme of that month. There is also a place to journal the items you are grateful for. Even in the monthly view, the weeks start with Monday. But after nearly a year of using this planner I am pretty used to it now. Because this layout isn’t as rigidly designed, you are able to make it work for you. 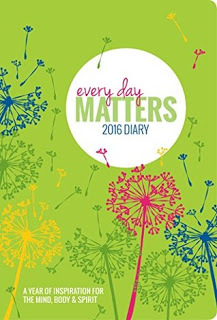 This photo is from my 2015 EVERY DAY MATTERS DIARY. I like using washi tape and other stickers to divide out the days’ tasks and appointments. 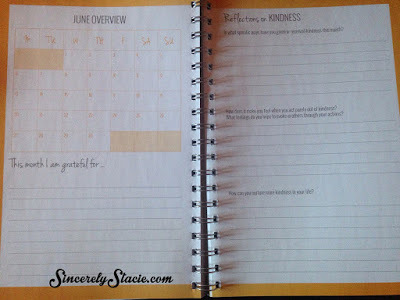 I use the weekly pages for my personal items and the monthly pages for my blog items. That helps me keep everything separate and also all in one place. There is plenty of space for planning and you could use the notes section for reminders or meal planning as well. The colors are vibrant and flow from month to month. I love the weekly quotes and themes to focus on, and I hope to spend more of my time reflecting on those pieces next year. It is so easy to just focus on your daily tasks, but this will also help you stop and reflect on your journey to enriching your life with positivity. 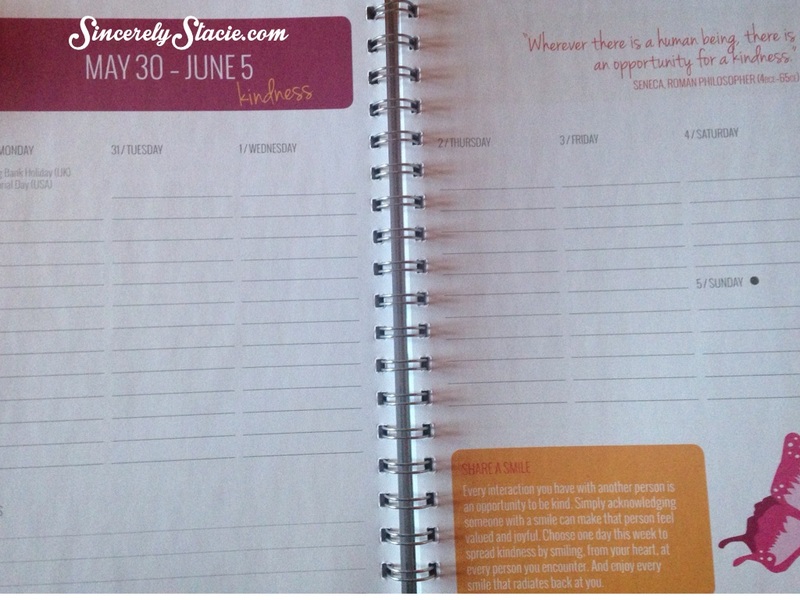 If I could describe this planner in one word, it would be “CHEERY“! It just makes me happy to open it and use it every single day. If you like to decorate your planners with stickers and tape, there is still room for you to do that on the pages. 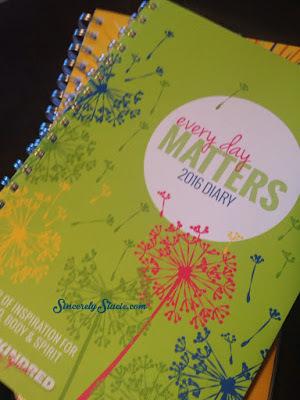 I’m anxious to start filling in my planner for 2016 as it will be here before we know it! Keep in mind, this is the Desk Diary size, but if you like one to fit in your purse, there is also a pocket diary size.